About June of 2007, SmartMoney Magazine published an article that described how the Yale and Harvard Endowment Fund Managers were able to earn big returns with their diversified portfolios. A portion of the article and the Harvard and Yale portfolios presented below. 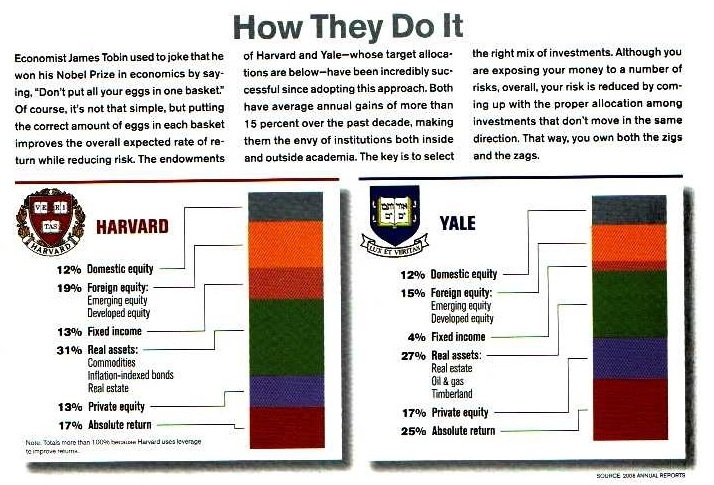 SmartMoney Magazine then went on to recommend funds that would replicate the Ivy League portfolio. 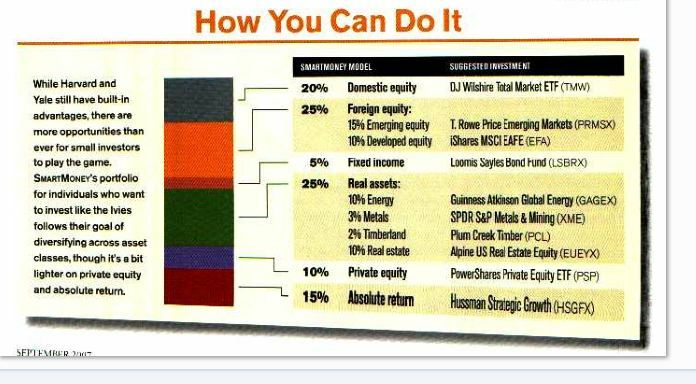 This Harvard-Yale-like portfolio is presented below. The Harvard-Yale-like Diversified Portfolio LOST 22% of its value whereas the DIA fund gained 11.3% over the same six year period which included the disastrous 2008 33% market decline; the exact thing a Diversified Portfolio is supposed to protect against.